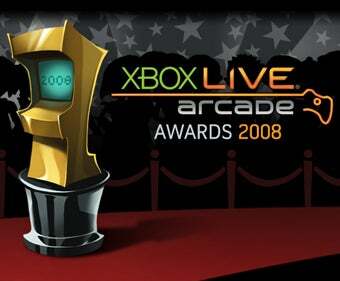 Microsoft is kicking off their second annual Xbox Live Arcade Awards, where players vote for the very best downloadable titles available on the Xbox 360. Did your favorite get nominated? Chances are it did, as the list of nominated games is chock full of instantly recognizable titles. For instance, in the Best Overall Arcade Game category, we have Braid, Castle Crashers, Geometry Wars 2, Street Fighter II HD Remix, and Portal: Still Alive. The rest of the categories are variations on that list, with the notable exception of the Best Family Game section, where titles like Roogoo and my personal favorite, Boogie Bunnies, have their chance to shine. Capcom is a heavy contender in most categories, with three out of the five games nominated for the Best Classic/Remake Game category - Bionic Commando Rearmed, Street Fighter II HD, and Mega Man 9 - though I don't think the latter qualifies, does it? Check out the full list of nominees below. To vote, just log on to Xbox Live's Spotlight channel between March 3rd and March 10th. May the best game win.